PT. Daya Alam Tehnik Inti (PT. DATI) is a wholly Indonesian owned and PMDN registered company that owns and operates two (2) Drilling Rigs used by Oil, Gas and Geothermal Companies for their exploration and production programs throughout Indonesia. PT. DATI operates in accordance with the Directorate General of Oil and Gas (MIGAS), PERTAMINA and the International Association of Drilling Contractors (IADC) standards and procedures relating to Drilling operations, safety, quality control and training which is also in accordance with the Government of Indonesia's specific policies for MIGAS certification, EBTKE certification and the transfer of technology. PT.DATI holds valid SKT (Surat Keterangan Terdaftar) from MIGAS and EBTKE. Since 1984, PT. DATI has had a Technical Assistance Agreement with Selective Drilling, a subsidiary of Parker Drilling Company (Parker), based in Houston, Texas. 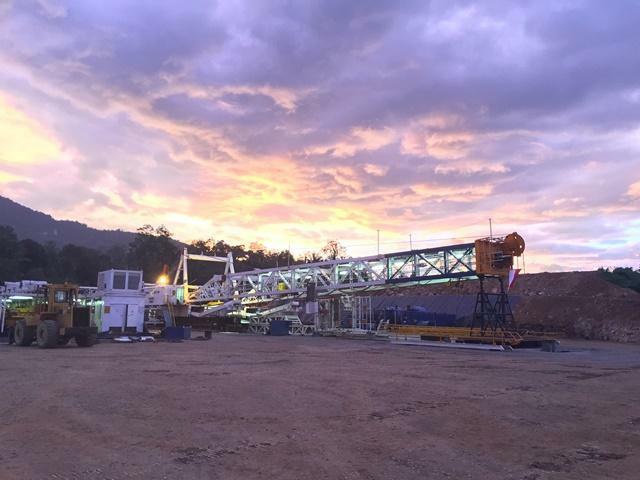 Through this agreement, DATI has benefited from Parker’s knowledge and experience operating in remote areas and difficult logistical environments, as well as technically difficult, and record-setting drilling projects. With access to Parker’s HSE, Training, Preventive Maintenance, and Integrated Management Systems, DATI is able to provide safe, efficient drilling services to International Standards.